Demolishing O'Devaney Gardens. Photo by Cónal Thomas. Dublin City Council owns 1,300 fewer social homes now than it did four years ago, council figures show. In October 2014, Dublin City Council directly owned 25,825 social homes. By January 2019, that figure had fallen to 24,503. A council spokesperson said there are a few reasons for the drop – old flat complexes have been pulled down, plans to build new social homes have only ramped up in recent years, and some social homes have been sold off to tenants. Some councillors said the figures again highlight how dependent the city still is on the private-rented sector to provide homes for those most in need. It also raises questions, as local elections draw closer in May, as to whether the council and councillors have done everything they can to speed the delivery of social housing in their five-year council term. Or whether, constrained by the Department of Housing rules, there was little more they could do. Council housing stock has dropped in the last four years for a number of reasons, said a council spokesperson. “The lack of construction during the downturn and the fact that the ramping up of building programmes has only happened in recent years,” they said. The council has also been working to renovate some of its old, rundown stock. So it’s been knocking together two substandard bedsits to make them into one apartment, and demolishing long-vacant social-housing blocks such as O’Devaney Gardens. “Prior to demolition, they were represented as being part of our housing stock but they were not contributing to housing needs,” the spokesperson said. “The numbers of unlettable units in recent times has been reduced significantly so while we have a lower level of stock now it is a lot more relevant to cater for housing needs in the city,” they said. The council has also sold off some council homes to approved housing bodies, the non-profit organisations that also house local-authority tenants from the social housing waiting list. Councillors are divided over whether it makes a difference for social housing to be owned by the state, or by these approved housing bodies. Dublin City Council’s dip in social-housing stock seems to buck the trend nationwide. Between 2007 and 2016, the number of people living in council homes in the country grew from 114,133 to 138,462, according to figures gathered by Michelle Norris, head of the School of Social Policy at University College Dublin. Sinn Féin Councillor Daithí Doolan, who heads the council’s housing committee, says the Dublin figures again emphasise how dependent the city is on the private-rented sector to provide for those on the lowest incomes. “They underline what a lot of us have felt,” he said – that the city is standing still when it comes to building social housing. The council spokesperson said the amount of social housing owned and provided by approved housing bodies has “increased significantly in recent years” which is “a positive situation”. Some of that stock was council-owned social housing, or on formerly public land, that the council has sold on to them. 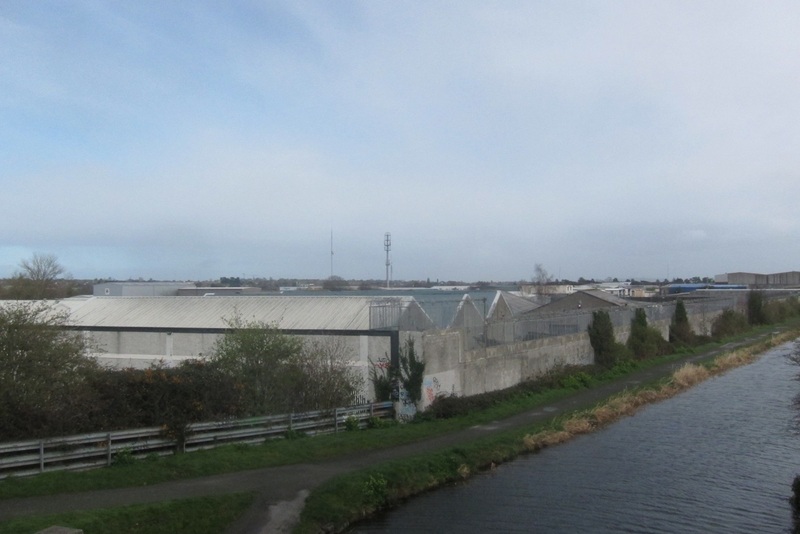 Earlier this month, councillors voted to sell 22 homes at Ellis Court to Túath Housing, and in July last year they voted to sell 53 council homes at Shelbourne Plaza to Túath Housing. In May 2018, the council voted to sell off St Mary’s Mansions in the north inner-city to Clúid Housing to redevelop as 80 homes. In May 2017, councillors voted to sell a site to Oaklee Housing, which planned to build 29 homes there. Whether it makes a difference in the long- or short-term for social housing to be owned by the council or approved housing bodies is a point of contention. A council spokesperson said families rarely seem concerned about whether their landlord is the council or an approved housing body. Ryan, of the Workers’ Party, says she’s concerned that what might happen here in the long-term could mirror what’s happened in the United Kingdom, where approved housing bodies have been criticised for selling off stock in affluent areas. She’s also raised concerns about what happens if an approved housing body goes bankrupt, and a lender steps in. Karen Murphy, the head of policy for the Irish Council for Social Housing which represents not-for-profit housing bodies, said she thinks the situation is different in Ireland than in the UK. If an AHB winds up, property has to go to another AHB or back to the local authority, she says. If an AHB has overborrowed, the local authority can step in and keep paying the bank to keep the home, she says. Once the loan is paid back, the AHB’s activities will still fall under the regulator and its own company memorandum, she says. There are “layers of safeguards”. Others say they think there are plus sides to AHBs owning social housing rather than local authorities. The fact that while many council homes have been pulled down, and knocked through, and sold off, so few have been built to replace them raises questions about what could have been done differently in the last four years – and by who. Given the council’s reliance on policy from the central government, there isn’t much more councillors could have done, says Sinn Féin’s Doolan, whose party has the most councillors on Dublin City Council and is part of a loose majority coalition there with Labour and the Greens. Dermot Lacey of Labour also says that the problems lie higher up the food chain – with the central government. “The not-building is quite simply a scandal and there’s no excuse whatsoever. It’s a complete abdication of responsibility by national government,” he said. “And I say national government, because national government holds the purse strings, national government holds the rules and national government sets how local authorities can build houses,” he says. Ryan, of the Workers’ Party, said she thinks, though, there could have been more pressure, more of a fight with central government. When there were discussions around land management at the start of the council term, if the council had been able to borrow to build on its land, rather than to lend for mortgages, more homes would have been built by now, she said. “There is not really much evidence of us going and saying, ‘We want to borrow to build this housing,’” she said. The time lag there has been in some cases between demolishing old social homes and rebuilding new ones is also pause for thought around future council plans to demolish and rebuild thousands of its oldest apartments. “In view of the fact that there’s very little money for rebuilding of some schemes, you’d really have to ask yourself is it justifiable?” says Norris. Lacey of Labour says he thinks the Department of Housing needs to look at empowering communities to find sites and set up as co-ops or in other forms, and build in pockets across the city. Meanwhile, Lacey thinks the council should be doing massive projects on big pieces of land. A spokesperson for the Department of Housing said social-housing construction is ramping up. Councils can fast-track developments through a one-stage process for schemes of up to 15 homes and a budget of up to €2 million, they said. “A review of this scheme by the Department of Public Expenditure and Reform is well underway and, as part of this review, a raising of these thresholds is currently being examined,” they said. There is also a reduced four-stage approval process in place for projects seeking department funding under the Social Housing Investment Programme (SHIP), they said. “The reduced process essentially means that projects proceed through the system more swiftly,” they said. While, also, meeting accountability obligations set by the Department of Public Expenditure and Reform in terms of controlling cost increases and such.